As a small business owner, it’s absolutely crucial that you have an optimized web site. Web site design is a major part of online brand building—there’s no getting around it. Prospective customers these days use company web sites to gather information about your brand, browse product listings, search for prices, find out what types of services you offer, and so much more. Without easy access to this information, most customers are likely to turn to your competition. Simply put, this doesn’t bode well for your business. Having a strong social media presence is a good place to start, but unfortunately it’s not enough. A large chunk of small businesses today still doesn’t have a well-rounded online presence. According to The Canadian Internet Registration Authority’s (CIRA) 2018 Factbook, 62% of Canadians prefer to make online purchases from local businesses. That’s a huge share of the market for businesses of any size to be missing out on. Factors include visiting a company’s web site to look for information (hours of operation, contact, locations, etc. ), checking out online reviews, placing orders for pickup or delivery, and so on. 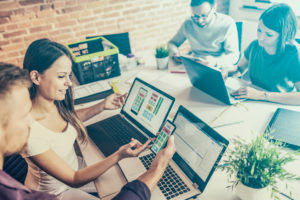 Here are a few important reasons why your small business is in need of a web site and how it can benefit from professional search engine optimization services. Expertise. authority, and trust (EAT) are three key factors involved in building a strong business. Even if your business isn’t strictly e-commerce (a lot of businesses aren’t), there’s still a great deal of value in online marketing. A professional, well-designed, and organized web site can help establish you as an industry frontrunner while also helping you break through the mould. You can use your web site as a prolific platform dedicated to informing your prospective and existing clients about industry-related developments. Showcasing a well-rounded and informative knowledge of things that are going on in your industry that don’t specifically pertain to your business is a great way to keep people interested and establish unbiased credibility amongst your target audience. The majority of consumers—97% in fact—perform online searches for just about everything. From looking up definitions for terms to researching products and services as well as searching for local businesses, we can do pretty much anything online nowadays. For that reason, it’s extremely mind-boggling that so many small businesses still haven’t jumped on the online bandwagon. Understandably, some small businesses might think that they don’t have the budget or revenue to build and maintain a web site. However, you don’t need a fancy web site with all the bells and whistles to attract more customers. Even a basic platform where you can answer simple questions about your industry and business will suffice. Even if your social media game is on point, that’s not enough to sustain a strong online following. The popularity of social media platforms like Facebook and Instagram vary so frequently, that they’re entirely unreliable when it comes to maintaining communication with your target audience. Hence, you need a more sustainable form of online revenue. The more information your web site has about your business and industry at large, the more it will improve your local visibility on Google. When people conduct online searches, Google literally crawls through thousands of web sites and content within seconds in an effort to deliver exact or close keyword matches to the user. Local results with the highest ratings or results that are within the closest radius to the user’s real-time location are given top priority. That’s why in addition to having a web site that lists your business address, contact information, and a brief description of your objectives, you should also have a comprehensive Google My Business account to boost ROI. Giving your customers the ability to purchase items or services online is a great way to boost your revenues. Whether customers are looking to place online orders for delivery or pickup or if they’re simply trying to research items so that they can purchase them at your brick-and-mortar location, a well-organized web site can make the decision-making process and transaction a lot easier. Plus, it gives that extra push some customers need if they’re on the fence about placing an order by playing into their lack of impulse control. A relatively new tactic that a lot of businesses are adopting is to add a timer during the checkout process. Seeing the numbers rapidly going down adds a sense of urgency and helps speed up the transaction. Refusing to invest money in a web site these days is a lot like flat out refusing to spend money advertising or marketing. While some businesses have been lucky enough to float on by simply based on word-of-mouth advertising or being in the right place at the right time, not all businesses can thrive based on luck alone. You need to make yourself known to your customers. Otherwise, chances are, you’ll just fade into the background. Astonishingly, the CIRA reported that in 2014, roughly only 41% of small businesses in Canada had a web site. Considering most people nowadays spend an average of approximately four to five hours per day on the Internet, that just doesn’t make any sense at all. With such low statistics, simply having a web site—let alone one that’s optimized—is a huge advantage. 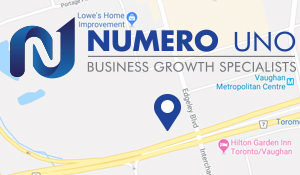 A professional web site for your small business from Numero Uno Web Solutions can help you increase your online revenue, attract more qualified leads, and build a strong online presence. Our web design experts have created and optimized web sites for clients all across Canada and the United States. To learn more about our SEO services, please feel free to contact us today!